Great 3D optical illusion for a beginner. 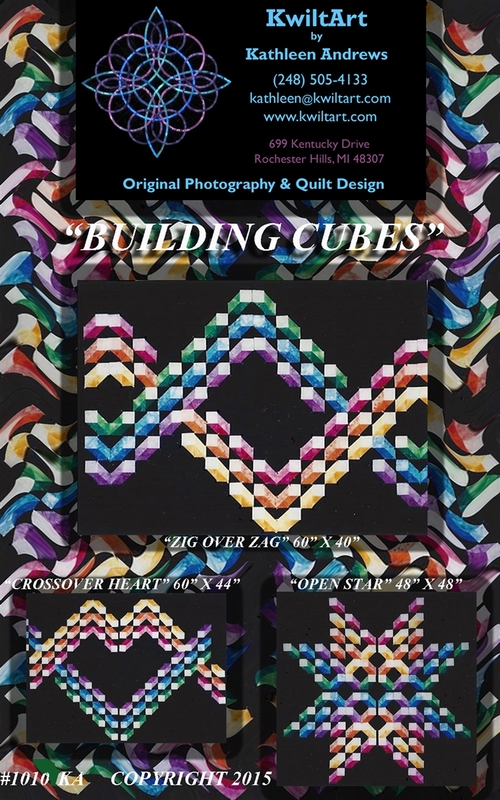 Each 4 1/2" block consists of three half square triangles and a square - the illusion is created when the light, medium and dark are put in the right places. 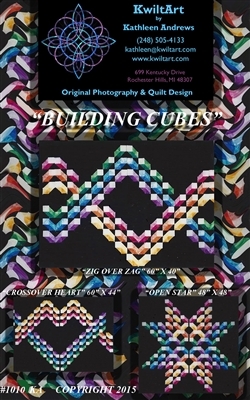 Pattern design is 84 blocks and 8 different layout suggestions are given or you can create your own. Background areas are easily filled in with 4 1/2" squares of background fabric.